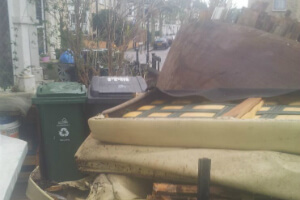 Commercial & Domestic Junk Removal KT Kingston upon Thames | Quality Property Care Ltd.
Once you book your onsite meeting, one or more rubbish collection specialists will come at the spot which needs to be cleared, or where the rubbish will be received. Based on the style, size and condition of the waste which needs to be stored, the experts make an estimate. The client is not required to agree with the offer. In case the price satisfies him or her, the rubbish collection and rubbish clearance begins. The technicians from Quality Property Care Ltd. collect the junk and transport it, gardening waste or any other type of trash to the most suitable and closest recycling centre or dumpster. Quality Property Care Ltd. has been offering its professional junk removal services to the businesses and residents of the area for more than TEN years. The experience and ambition of the operations have enabled the establishment of very affordable, efficient and eco-friendly clearance, waste removal and waste disposal services. The clients will basically spend less money by hiring the professional waste removal and disposal services of the firm, rather than hiring a skip, as well as dealing with the authorities. The company has vans to load and transport the junk, and works with a few recycling centres and disposal sites in Kingston upon Thames KT, so that there is consistently dumpster which is relatively close and is suitable for disposing the collected junk. 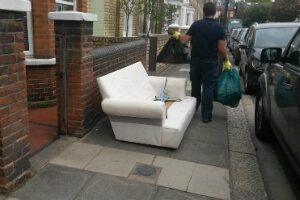 Once you set up the rubbish removal service, we will sent to you the tested and vetted experts. They will examine the volume of junk and will settle a particular date. Make a mix with junk removal service and any of our specialized cleaning services to get a unique discount! Our rubbish removal enterprise delivers a full range of eco-friendly and competitive cleaning services that can match any funds! To reserve the junk removal service you demand, all you need to do is send an online reservation form or contact 020 3746 4287. The customer care service is out there and will be back with a written confirmation straight away. If you choose to book combined services, such as: builders waste removal along with after builders cleaning, or garden waste removal along with gardening services, you will have very nice deals! Book now, no down payment is necessary! You can book the junk removal services on weekends and bank holidays with no fee added. Also, same-day service booking is available.